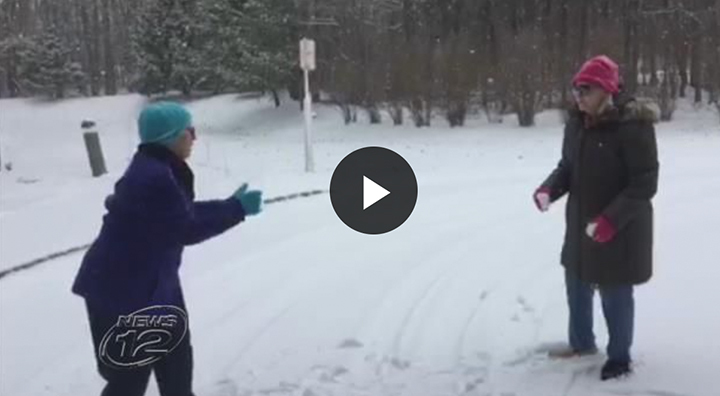 Princeton, NJ / February 20 / News12 New Jersey –Two seniors at Brandywine Living in Princeton had some fun during Wednesday’s storm with a snowball fight. Residents Marion Carnevale and Susan Garry staged the fight because Carnevale says Garry stole her last piece of pie and Carnevale stole Garry’s seat. The two jokingly had the snowball fight to settle the dispute. Your staff has provided love, compassion and friendship to a degree we could hardly have imagined. There is a culture pervading the entire staff that comes across to residents, loved ones and visitors. Its hallmarks are professionalism, compassion, love, and commitment to excellence. I congratulate you for the culture you have created.